Leading water heater manufacturer A. O. Smith is upgrading its line of Voltex® Hybrid Electric Heat Pump water heaters for use in all climates, including colder climates and adding a duct kit accessory that enables installation even in limited-space applications. Already significantly more efficient than a standard electric water heater, A. O. Smith engineers refreshed the Voltex line to improve performance specifically for homes that routinely deal with cold weather. The manufacturer has created a duct kit attachment compatible with all Voltex models, including 50-, 66- and 80-gallon capacities, which will allow users greater versatility in installation. These improvements have qualified the Voltex for the highest level of the Advanced Water Heater Specification, developed by an alliance of Northwest utilities, energy efficiency organizations and market partners to advance higher performing heat pump water heaters. It’s the only “out-of-the-box” water heater currently on the market that meets this efficiency specification. The updated engineering in the Voltex family ensures excellent performance even when the units are processing cooler air and winter groundwater, according to David Chisolm, vice president of marketing for A. O. Smith. The northern climate engineering and duct kit accessory will enable installers to recommend the super energy-efficient Voltex in more residential applications with fewer limitations tied to space and local temperatures, according to Chisolm. The Voltex delivers efficiency and performance by heating water with ambient heat captured from the surrounding air. For maximum performance, the manufacturer previously recommended installation in spaces with at least 700 cubic feet. The new duct kit accessory, which connects seamlessly to Voltex models, eliminates the space requirements by allowing contractors to pipe air in and exhaust air out of adjacent rooms. Though the models maintain the same profile, contractors will notice some style changes that make installation easier, including better plastic doors and a redesigned junction box. The new Voltex models are the quietest heat pump water heaters on the market, operating at just 51 decibels. All Voltex models feature four operating modes that maximize efficiency by matching heating requirements to environmental conditions, including a vacation mode programmable up to 99 days. 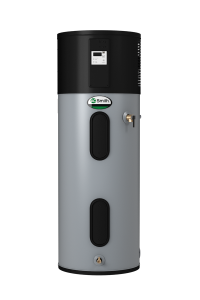 The 2015 updates to the National Appliance Energy Conservation Act (NAECA) mandated that heat pump technology be used for residential electric water heaters larger than 55 gallons. The Voltex family meets and exceeds minimums set by these requirements and serves as a natural replacement option for 66- and 80-gallon standard electric water heaters. The ENERGY STAR®-qualified Voltex Hybrid Electric Heat Pump will qualify for the existing federal energy efficiency tax rebate and most state and local utility rebates. Contractors can find rebate information at Hotwater.com. 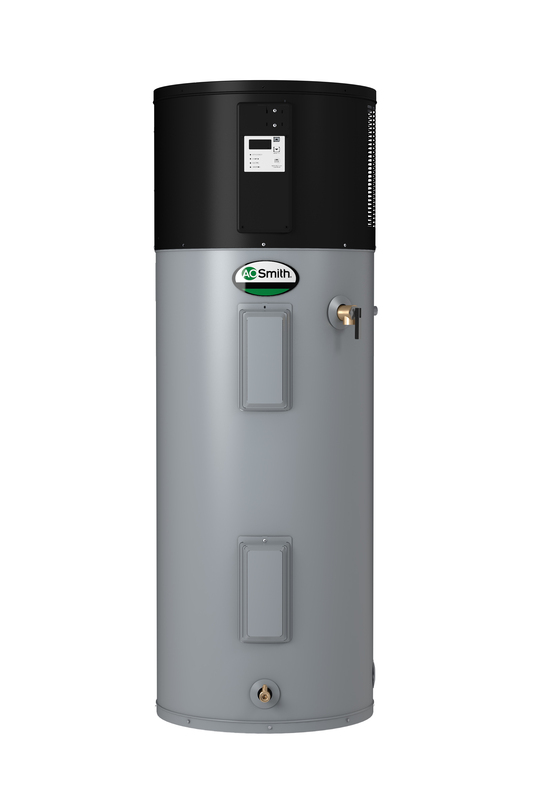 For more information about A. O. Smith and the Voltex family of hybrid electric heat pump water heaters, visit www.hotwater.com. A. O. Smith Corporation is a leading global manufacturer and marketer of residential and commercial water heaters. A. O. Smith offers its customers an additional competitive advantage in that the company designs, builds, distributes and supports the world’s broadest and deepest line of residential and commercial water heaters, as well as commercial boilers. This single source concept simplifies ordering, installation and service and is backed by 80 years of research and innovation. For the most up-to-date A. O. Smith news, like us on Facebook, follow us onTwitter and visit https://www.hotwater.com.